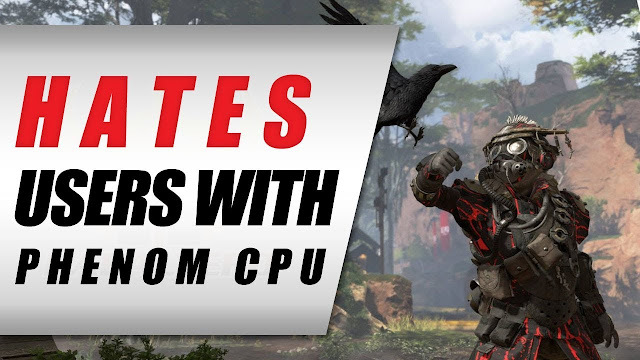 Apex Legends • Devs Don't Want Players With Old Computers - KABALYERO - PLAY, BLOG & EARN! #ApexLegends is EA's latest free-to-play #BattleRoyale game and it's unplayable for those with a computer running on an AMD Phenom processor. Apex Lagends crashing happens if you install the game on a computer running on an #AMDPhenom Processor. In simple words, Apex Legends hates AMD Phenom users. If your processor is an AMD Phenom processor and you installed Apex Legends then all you can do is uninstall the game.